5.4 Earthquake hits the southeast Indian ridge. Tropical cyclone 06p (Ula), is located approximately 122 nm southeast of Pago Pago, American Samoa and is tracking west-southwestward at 06 knots. Tropical Depression Nine-C is located about 1070 mi…1720 km SSW of Johnston Island and about 1770 mi…2850 km SW of Honolulu Hawaii with maximum sustained winds…35 mph…55 km/h. Present movement…NW or 315 degrees at 3 mph…6 km/h. Britain – Update – Many homes remained flooded and without power on Thursday, after heavy rain and strong winds battered northern Britain. Storm Frank spread on Tuesday and Wednesday, damaging property and affecting roads and rail services in England, Scotland and Northern Ireland. The government-affiliated Environment Agency said more than 6,700 homes in the north of England were flooded during the last week as river levels reached all-time highs. Flood warnings remained in place in England, Scotland and Northern Ireland on Thursday. USA – Update – The death toll from flooding in Missouri rose to 14 Wednesday, and at least two rivers rose higher than during devastating floods in 1993, officials said, but the region was bracing for more flooding. The current strong El Nino brewing in the Pacific Ocean shows no signs of waning, as seen in the latest satellite image from the U.S./European Ocean Surface Topography Mission (OSTM)/Jason-2 mission. El Nino 2015 has already created weather chaos around the world. Over the next few months, forecasters expect the United States to feel its impacts as well. The latest Jason-2 image bears a striking resemblance to one from December 1997, by Jason-2’s predecessor, the NASA/Centre National d’Etudes Spatiales (CNES) Topex/Poseidon mission, during the last large El Nino event. 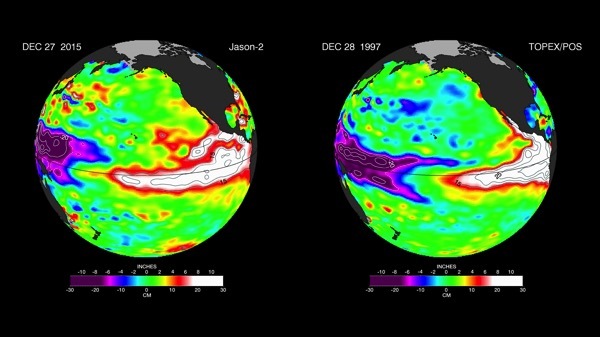 Both reflect the classic pattern of a fully developed El Nino. The images show nearly identical, unusually high sea surface heights along the equator in the central and eastern Pacific: the signature of a big and powerful El Nino. Higher-than-normal sea surface heights are an indication that a thick layer of warm water is present. El Ninos are triggered when the steady, westward-blowing trade winds in the Pacific weaken or even reverse direction, triggering a dramatic warming of the upper ocean in the central and eastern tropical Pacific. Clouds and storms follow the warm water, pumping heat and moisture high into the overlying atmosphere. These changes alter jet stream paths and affect storm tracks all over the world. Fire officials say 99 per cent of residents in three communities on Victoria’s Surf Coast have left their homes amid fears bushfires will flare again in hot and windy conditions later today. A fire that destroyed dozens of homes over Christmas at Wye River and Separation Creek is still burning out of control on the Great Ocean Road, and residents in Kennett River, Grey River and Wongarra were told to leave, with hot northerly winds expected. The fire is currently in the Great Otway National Park (The Otways), just outside Kennett River in inhospitable terrain. Up to 500 firefighters are on standby with 20 more from New Zealand arriving to help over the next week. An upgraded watch and act message has been issued for Wye River and Separation Creek. About 100 people live in the three communities and most left last night. Santiaguito (Guatemala): During 26-29 Dec, only explosive activity at Santiaguito was observed, but no signs of effusive activity (lava flows): no rockfalls or other movements were seen at the recently active lava flows or on the flanks of the dome itself, indicating that at present, no lava flows are active. The volcano’s activity consisted in explosions of varying size, at irregular intervals ranging between 10 minutes and 8 hours and producing ash plumes that rose up to 2-3 km above the Caliente dome. Sometimes, only loud, jet-engine like degassing events took place instead of ash explosions. These degassing events often lasted more than 10 minutes, while the explosions typically only took less than one minute. Fuego (Guatemala): The activity at Fuego might be picking up towards a new paroxysm (eruptive phase with strongly increased effusion rate, resulting in lava fountaining and lava flows). Mild to strong strombolian explosions that occurred at intervals between 1 and 10 minutes were observed last night. The strongest explosions sent incandescent material to heights of up to approx. 500 m and similar distances. One particularly intense explosion was accompanied by a very strong shock wave. Tropical cyclone (tc) 06p (Six), located approximately 282 nm east-northeast of Pago Pago, is tracking south-southeastward at 13 knots. Britain – Winter storm Frank battered the north and west of the U.K., causing chaos to transportation and leaving thousands of people without electricity or facing more flooding in what’s been the wettest December on record for parts of the country. Areas in southern Scotland and Cumbria in northern England were expecting to get another 100 millimetres (4 inches) of rainfall after Storm Frank made landfall, according to the Met Office. Winds exceeding 60 miles (100 kilometres) an hour hit towns and cities from Northern Ireland to Edinburgh overnight and were forecast to continue into Wednesday afternoon. As much as 70 millimetres of rain had fallen on parts of Scotland before 9 a.m. local time, the BBC reported. Homes were evacuated in Aberdeenshire in the northwest as the River Dee burst its banks, while Dumfries in the southwest was also at risk of inundation. Among the disruptions to travel on major roads, a stretch of the motorway linking Scotland with England was shut in both directions due to flooding, according to Traffic Scotland. USA – The Mississippi River is coming, and so are the Arkansas, the Red, the Ohio and the Missouri. The water on the Mississippi River is already so high that Missouri has closed interstate highways. Governor Jay Nixon activated the National Guard to stave off disaster. And the floods only stand to get worse. Warmer-than-usual weather through December has precipitation falling as rain. Some areas have seen 5 to 10 inches (12 to 24 centimetres) above normal flowing into the rivers instead of being locked up as snow and ice on solid ground until spring. Flooding on the lower Mississippi may become severe enough to force the opening of the Bonnet Carre Spillway protecting New Orleans, according to the Lower Mississippi River Forecast Centre. Today, the Missouri River is at a major flood stage, and it’s pouring into an already swollen Mississippi, forecast to reach its second-highest crest at St. Louis around the start of the new year. All of that water will join the Ohio and together flow toward some of the most densely packed industrial river fronts in the country. The floodwaters are forecast to reach New Orleans in the third week of January. More than two weeks of heavy pollution led Iranian officials to ban all outdoor sport and impose new traffic restrictions on Wednesday as persistent cold weather exacerbated Tehran’s air quality problems. 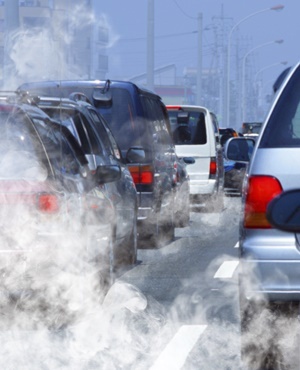 In the worst concerted period of pollution for three years, primary schools and nurseries were closed and new car exclusion zones imposed in the capital. Tehran’s air quality index averaged 159 on Wednesday, up two from the previous day, and more than three times the World Health Organization’s maximum advised level of between zero and 50. One area in northeastern Tehran peaked at 238. The official IRNA news agency reported that it was the 18th straight day of dangerously bad air. 5.2 Earthquake hits Seram, Indonesia. 5.0 Earthquake hits northern Colombia. USA – Blizzard conditions hit the U.S. heartland Sunday after a string of severe storms left at least 43 people dead across seven states over the previous four days. Heavy snow fell across New Mexico, west Texas and the Oklahoma Panhandle. California, USA – More than 6 billion gallons of water have poured into Lake Tahoe in less than two days, helping the lake begin to recover from four years of crushing drought. Since midnight Monday, the lake has gone up 1.92 inches, the equivalent of 6.39 billion gallons of water. The water comes as a winter storm slams the Sierra, bringing several feet of snow to higher elevations and rain at lake level. Ireland – The Atlantic storm, Frank, will bring downpours, strong winds and high-risk conditions. Storm Frank is set to hit the country today, with fears that the resultant flooding could be even worse than that caused by pre-Christmas torrential rain. A canal that delivers vital water supplies from Northern California to Southern California is sinking in places. On farms, well casings pop up like mushrooms as the ground around them drops. This slow-motion land subsidence — more than one foot a year in some places — is not expected to stop anytime soon, experts say, nor will the expensive repairs. Land subsidence is largely the result of pumping water from the ground. As aquifers are depleted, the ground sags. A sparse mountain snowpack in California’s driest four-year span on record has forced farmers in the Central Valley, the nation’s most productive agricultural region, to rely on groundwater to irrigate their crops. Drought has spawned a well-drilling boom with some tapping ancient aquifers 3,000 feet down. In wet years, groundwater provides about 40 percent of water used in California, but in times of drought, groundwater can amount to 65 percent of the state’s water supply. Decades of over-pumping have destroyed thousands of well casings and buckled canal linings. To keep water flowing through low spots, irrigation districts raise the sides of sagging canals so they can increase the water level and maintain a gravitational flow. After several days of pent-up quiet, big sunspot AR2473 erupted on Dec. 28th (12:49 UT), producing a slow but powerful M1.9-class solar flare. For more than an hour, UV radiation from the flare bathed the top of Earth’s atmosphere, ionizing atoms and molecules. This, in turn, disrupted the normal propagation of shortwave radio signals on the dayside of our planet. Ham radio operators, mariners and aviators in South America, Africa and the south Atlantic Ocean may have noticed fades and blackouts of transmissions below 20 MHz. 2015 could end with an outburst of auroras. NOAA forecasters say there is a 60% chance of polar geomagnetic storms on Dec. 30th when a CME is expected to hit Earth’s magnetic field. There is an equal 60% chance that the storms will spill over into Dec. 31st, New Year’s Eve. Lives and homes continue to be threatened by separate out-of-control bushfires burning in Western Australia. A watch and act alert remains for people on Morgan Road, Bentley Road, Gavins Road and at Meldene Estate on Marginata Drive, west of Donnybrook, in the state’s South West region. The same alert has been issued for people in the vicinity of Hay Road and South Western Highway in North Greenbushes in the Shire of Bridgetown-Greenbushes. An earlier alert for the Sawyers Valley townsite and Beelu National Park in the Shire of Mundaring has been downgraded. The fire that scorched about 1,230 acres north of Ventura was 75 percent contained, with full containment expected Tuesday. The blaze erupted Friday night when high winds caused power lines on an oil field to arc. At its peak, the fire closed a 15-mile stretch of an adjacent, six-lane freeway, U.S. 101, and another major north-south route, the Pacific Coast Highway. Hundreds of firefighters on Sunday mopped up the remnants of a wind-whipped wildfire that threatened dozens of Southern California coastal homes. Authorities said their new worry is a landslide if rain pounds the charred hills. Amid unseasonably warm weather, firefighters battled more than 130 wind-fuelled wildfires in northern Spain on Monday which officials suspect were deliberately set. Nearly 400 firefighters and soldiers struggled against 82 wildfires in Cantabria, a sparsely populated region whose terrain is sliced up by deep mountain valleys, the regional government said. At least 2,000 hectares (5,000 acres) of “extraordinary ecological value” has burned in the region over the past week, much of it located in two natural parks, it added in a statement. Cantabria has since September received scant rainfall with average high temperatures of 23 degrees Celsius (73 degrees Fahrenheit), he said. Strong winds, with gusts of up to 110 kilometres (70 miles) an hour were fanning the flames and preventing the use of water-dropping planes. Guinea, one of the countries hit by the worst outbreak of Ebola, has been declared free of any cases of the deadly virus. Because Guinea hasn’t seen any new infections for 42 days, the amount of time in two incubation cycles for the disease, the WHO declared it free of Ebola on Tuesday. The last known patient in Guinea was a 3-week-old girl who tested negative for the virus twice in November. The Arizona state health department says it found more than 100 people contracted both West Nile Virus and St. Louis Encephalitis Virus this year. The discovery marks the first time the two diseases have been found together. Both are spread to humans by mosquitoes who have fed on infected birds. In both cases, people infected may not know they have contracted the illnesses. When they do make their presence known, both appear as flu-like symptoms, but can cause serious deteriorating cognitive function, though this can be temporary. The co-outbreaks were between May and October, prime mosquito season.The health department says this discovery is another reason people should protect against mosquito bites year-round. 5.6 Earthquake hits Martinique in the Windward Islands. 5.3 Earthquake hits the southern east Pacific rise. 5.1 Earthquake hits eastern Kazakhstan. Oklahoma, USA – The National Weather Service says “disastrous” flooding will occur in eastern Oklahoma, where some areas received up to a foot of rain over the weekend. The state department of transportation says high water has caused the closure of some roads in counties in the southern and eastern part of the state. 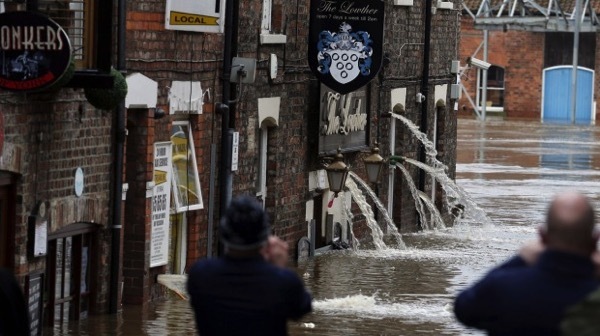 Britain – Hundreds of people have been evacuated from their homes in York after the city’s two rivers burst their banks, flooding houses, shops, businesses and threatening historical buildings. The River Ouse is up to four metres above its typical level but will not peak until tomorrow afternoon, while the River Foss is hitting record heights in urban areas. Missouri, USA – A state of emergency has been declared by Governor Jay Nixon in response to widespread flooding in Missouri. At least eight deaths are connected to the high waters in the state. More rain and additional flooding is expected through Monday. River levels are expected to rise over the next few days.